This album reminds me of heavenly. 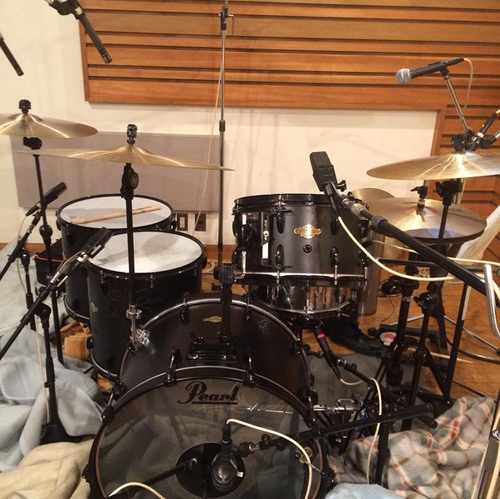 There's a wide variety of styles and Sakura uses different drumsets to match them. It lives up nicely to the title of the album. It also has a great and clean drum sound, unlike previous Rayflower releases. 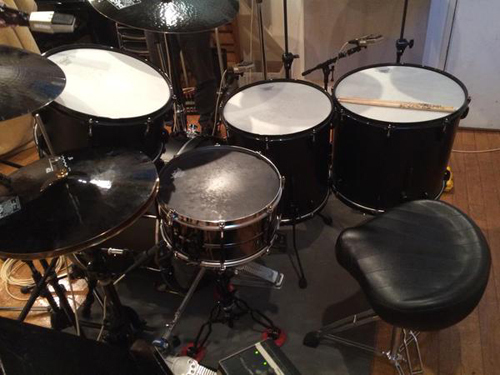 The above setup is from THE MIDNIGHT LOVE, but it is likely identical to the one used for recording the U-TOPIA single. 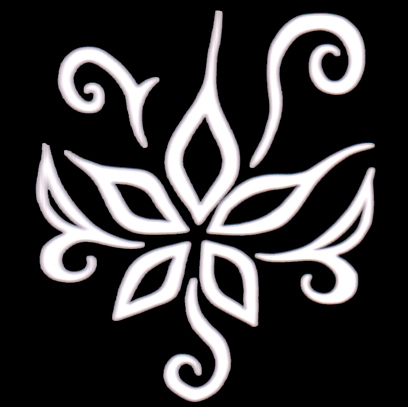 See that page for more detailed information. 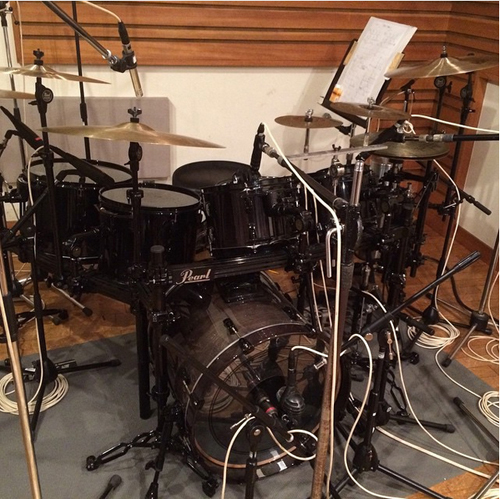 The above pictures were around the time the "SABAIVU NO SUSUME" single was being recorded. I assume the single and its b-sides were recorded with this set. The sound of the song "SHINING GARDEN" also seems like it may have been recorded around this time. Which song has which snare? I am sure the first two, at least, were used on at least one song. Your guess is as good as mine! 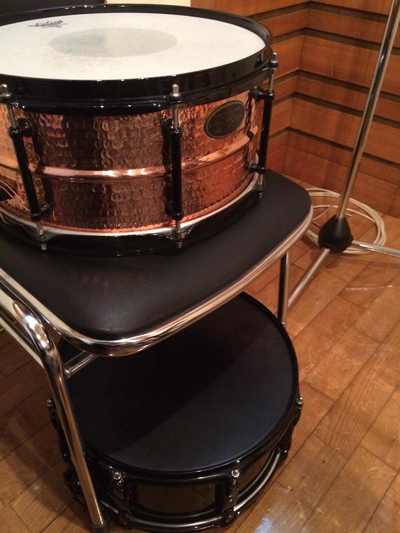 The Yuuya snare is an ebony head, and I can't tell if it's a Controlled Sound like the Hammered Copper or just an Ebony Ambassador. 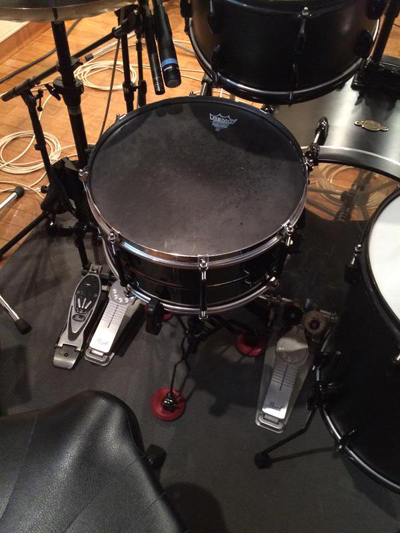 Sakura's also using the "Vintage A" line of heads for his toms on this album. 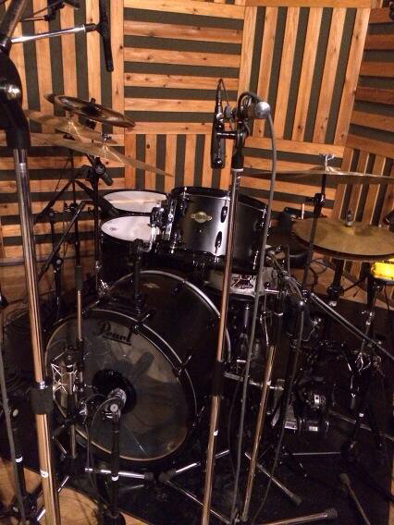 Wow, Sakura is using his black cymbals on a recording! Because of the coloring, these are really dry cymbals, and they don't cut through the recording very well. 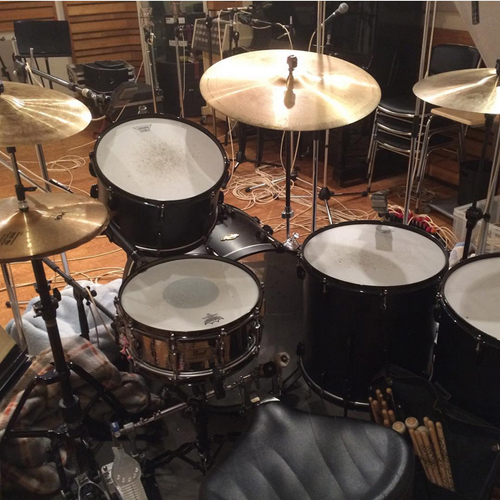 This setup was used for both songs on the "saigishin" single, as well as for recording a number of album tracks: SILVER BULLET, YOUTHFUL HIGH, and Soul survivor. The Hammered Steel got used on the "saigishin" single and "SILVER BULLET." I believe the other tracks got the aluminum free-floating snare. The 8" tom just has a regular Ebony Ambassador. The others are clearly visible. 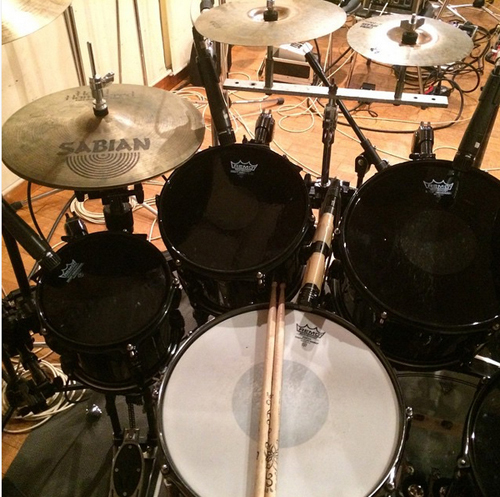 A set of Sabian cymbals on a recording? Unheard of! It was really exciting to be able to list these for a change. Finally, this set was used for "My Dear" (the first two pictures), "Welcome to the Gracious World", and "S.O.S." (the third picture). Possibly "Shining Garden" too. It's hard to tell based on sound. The Hammered Steel was used on "My Dear", the Hammered Copper on "Welcome to the Gracious World", and the Stainless Steel on "S.O.S." 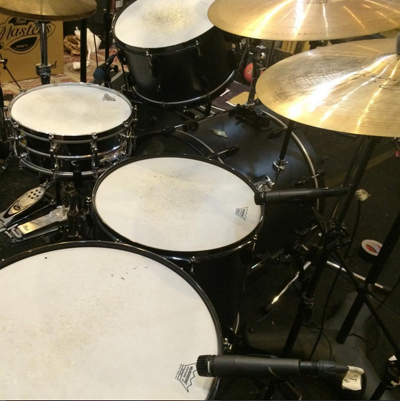 It's thanks to these pictures I learned he's been using the Vintage A heads instead of his usual Coated Ambassadors on the toms. A really simple cymbal setup for these songs.